Userfriendly-Devon – Page 2 – The Blog! The New iPhone 5c — A plastic phone , Otherwise very similar to its predecessor, Funky colours yes, looks ok, but to be honest not up to apples normal awesome standard. The new iPhone 5s — Finally back to Apple’s normal awesome standard , Unlocking your phone ( iCloud password ) with your finger prints , The build is typically Apple and 3 “colours” for it too. iOS7 — its not bad, but really not ready … hopefully those bugs will be gone before public release! Now im getting scam letters! it was similar is “wording” to the usual metric ton of email scam’s , Just a hard copy, But with my full postal address on it! There seems , and still seems to be a great deal of confusion and different views on this. A virus is a bit of “code” that can often auto infect a system, replicate , infect and spread — it usually requires an infect email, attachment, Webapge accessed , Then it gets busy without needing the user to respond to any alerts! Now, currently, there is no virus for any iOS device — but could be a few Trojans out there BUT apple is quite strict as to what actually gets to the App Store. Android — Avast has reported a virus recently ( that does not need the device to be rooted ) , And apparently Google is not as strict on their app store. BUT downloading app be it from the App store with apple or Google play on Android , that is the BEST way to stay safe, Jail breaking your iOS device or “rooting” your Droid whilst opens the doors to a host of maybe cool stuff, also deactivates the devices stock security , So in a word ( unless you REALLY know what you are doing ) DO NOT jailbreak or root your device! That all said now, On the Droid market there are a host of anti virus apps, like Avast IF you really need one, download it ( from google play! ) and monitor how battery / performance is, If its not great then uninstall it, And try another! Now Intego has an iPhone / iPad app — however the reviews stink! and i would possibly avoid it at all costs! Its not free, and you have to pay a yearly ( yet small ) fee .. But again looking at the reviews it seems a pointless App particularly if you have not Jailbroken your iOS device! Microsoft has confirmed a Start button is returning to the desktop mode’s taskbar of its Windows 8 operating system. The lack of the facility – which had been in every previous version since Windows 95 – has been one of the most controversial aspects of the software. However, it will not offer all the functionality previously associated with the feature. Instead it will take users to the recently-introduced “Metro” interface. “We’ve improved the way you navigate to Start with the mouse by changing the Start ‘tip’ to be the familiar Windows logo,” the companysaid in a blog post. On current versions of Windows 8, the start tip would only appear when users hovered their cursor over the lower-left corner of their screen. In the 8.1 update, the area will be more visible. A left-click on the tip will bring up a tile-based Start Screen – formerly known as the Metro interface – designed for touch-screen users. A right-click will display a small menu of other options such as Event Viewer, Device Manager and Disk Management. Another change will allow users to boot their computers directly into desktop mode, meaning they can avoid ever using the Start Screen if they wish. 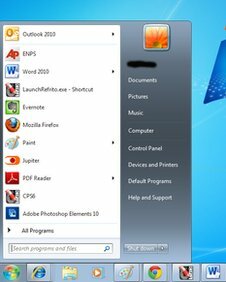 Many users had complained that ditching the traditional Start Menu and introducing the Start Screen had made the system less straight-forward to use, meaning businesses which adopted it would need to retrain staff. Microsoft had been stung by claims that the expected reintroduction of a Start button would mark a major U-turn. An article in the Financial Times described the move as one of the “most prominent admissions of failure for a new mass-market consumer product since Coca-Cola’s New Coke fiasco nearly 30 years ago” – making reference to the soft drinks company’s decision to ditch a new recipe after overwhelming customer dissatisfaction. A preview download of Windows 8.1 will be released to the public in June, and a final version before the end of the year. Both will be free of charge to existing users. Chris Green, principal technology analyst for the Davies Murphy Group, told the BBC he did not think the change would be enough to silence the critics. “What they’re proposing to do is a bit of a fudge. He said Microsoft faced a challenge in being able to innovative with Windows while also keeping its vast user base comfortable. Added customisation options, with more choice over colours and backgrounds on the Start Screen. An improved search function that covers web content as well as apps, files and settings on the PC. A new version of the firm’s web browser – Internet Explorer 11 – which Microsoft said would offer improved tools for developers. Now the thing is.. Microsoft is moving into the Tablet market, which CRIES OUT for an interface like Metro , Users on traditional computers , such as laptops , this Metro maybe alittle odd, However after giving it a good trail even on a laptop with NO touch screen, the OS is still quite exciting. People need to remember that the “start” bar has been around since Windows 95, Its about time that something new and slightly trendy, whilst keeping functionality , is brought to the OS. This year, is though, the year of the Tablet , so it will be telling at the end of the year what people really think / want / like. Well, what a great … Awesome keynote , iOS7 looking very good , OS X.9 Mavericks again some very cool features there, But the main event for me was the announcement of the new Mac Pro … i mean WOW what a piece of kit that is. And on top of that, its a fraction of the size of the current Mac Pros! Upgraded my Mac(s) from Lion to Mountain Lion ( LOVE IT!!! ) then a few days later went to print a label on my trusty Dymo 320 and …. it did NOT work!! 8 years of faithful service ended by an operating system upgrade! In a “vain” attempt i contacted Dymo via their chat system to ask either for updated software or advice on buying a NEW replacement …. And yup , Dymo was set on sending out a new printer FREE!!! Hats off to Dymo!!! Very impressed!